Generally, lamps that make it past the first thirty days will last its life hours. Your original "Factory Lamps" are manufactured to a different standard and have the longest life. Additionally, Hi Performance lamps are generally going to last at least up to the expected life hours. Firstly, not liking the "color" of the bulb, or that it is not as bright as I expected are NOT valid reasons for returns. 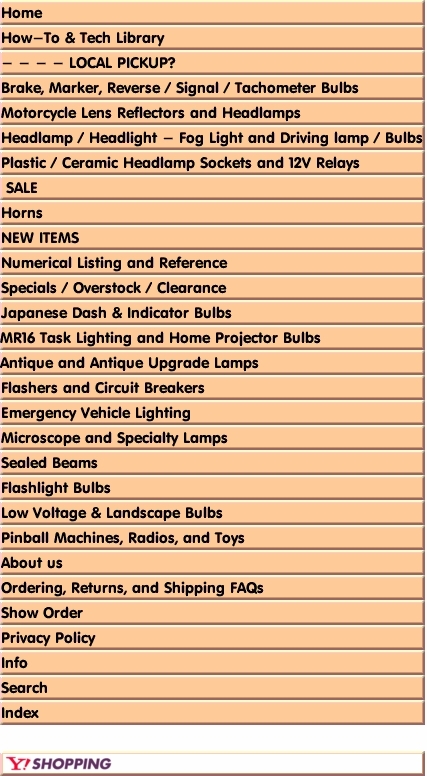 There are plenty of forums for all models and makes where our our top selling bulbs are all favorably "peer reviewed" listing all pro's and con's that they have experienced during testing and everyday use. Note: As with any internet information...Due diligence should be used for those few "outlier" comments and detractors. Used bulbs are illegal for us to resell and it is extremely easy to tell if a bulb has been used. We request you to not waste time, money, and energy as NO merchandise will be issued credit of any kind if it has been installed, modified, soiled, damaged or used in any manner. You should begin the Returns process within (30) days of delivery. Using this format is how we prefer to do all returns so that both you and we have written proof of the request and of the date that you submitted the information. You will receive Return Materials Authorization (RMA) information via email within a short period of time. Follow the instructions supplied in your email for returning your items(s). Packages must be returned with some type of “delivery confirmation” option that requires us to sign for the receipt of your package. This protects your interest by requiring us to document “package received” and “date received” to a third party.Packages that have obvious damage will be refused and will be returned back to you by the carrier where you can inspect the product for damage and file a claim with the carrier. 1 November 2011 - NON RMA Registered items are subject to a 30% restocking fee. **Remember. It is extremely easy for us to tell if a bulb has been used in the slightest. Therefore, please do not waste time, money, and energy as NO merchandise will be issued credit of any kind if it has been installed, modified, soiled, damaged or used in any manner. Credit will normally be issued within 7 - 10 Business days of receipt of return.